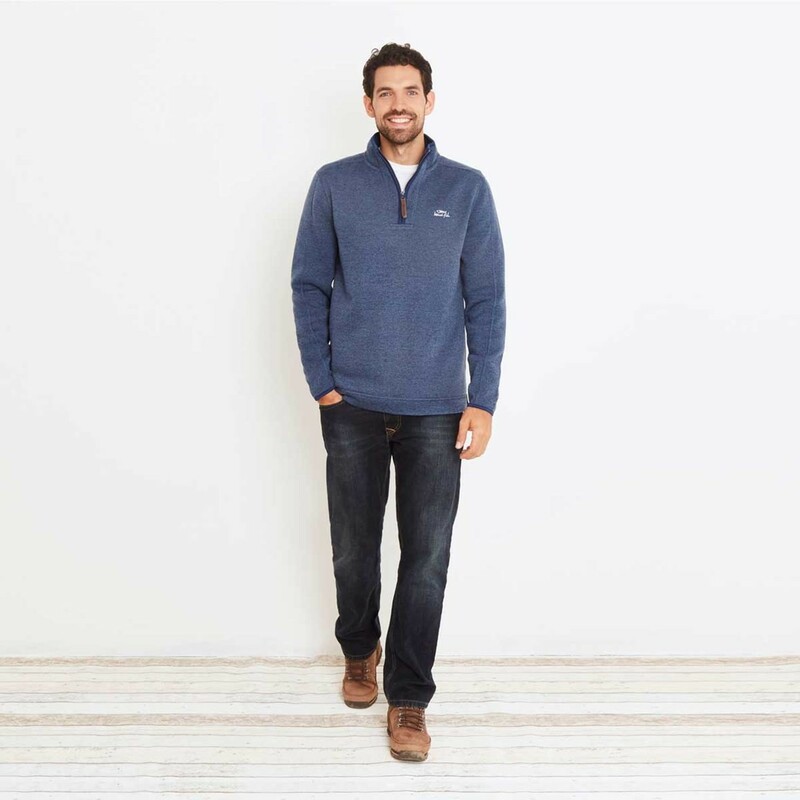 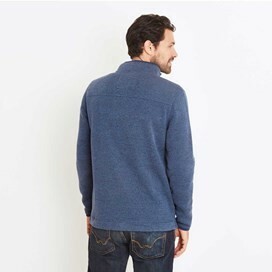 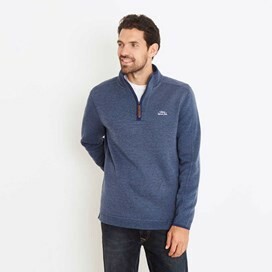 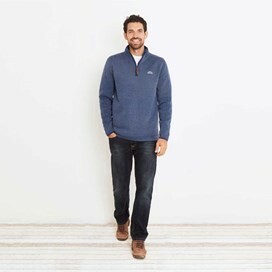 A very warm, ¼ Zip soft knit fleece. 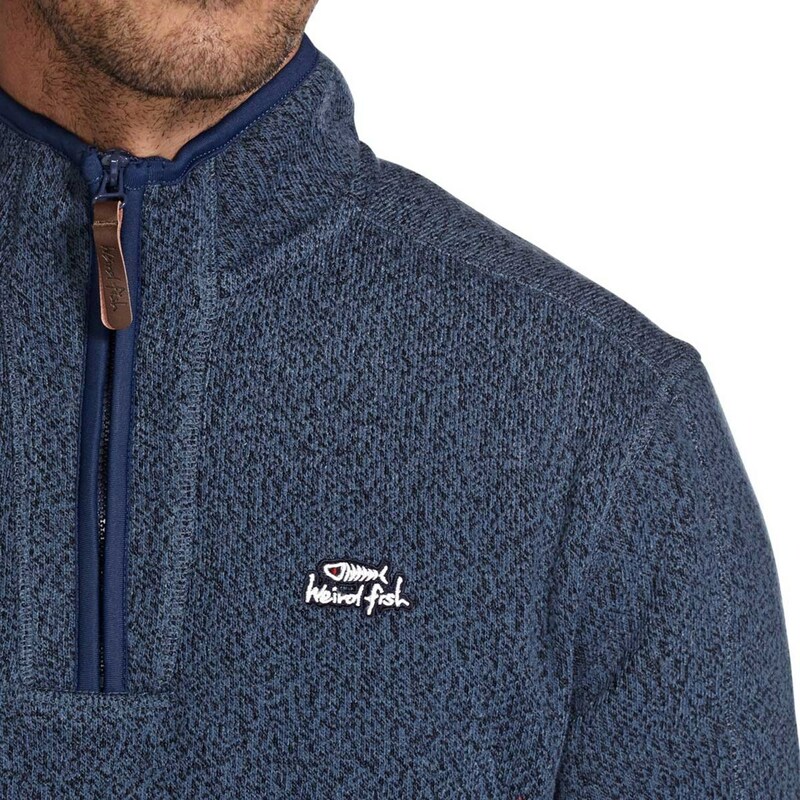 100% Polyester with a subtle tonal fleck. 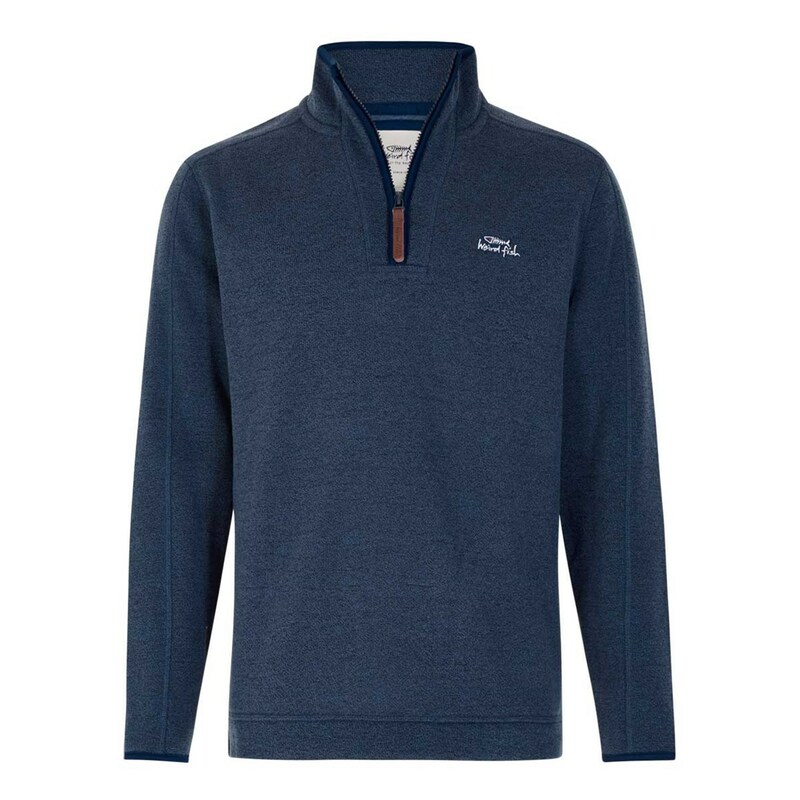 Brushed back for comfort and warmth, features a leather zip pull and embroidered chest logo.